This stock has been consolidating and has formed a solid base at current levels . We expect a re-test of the Feb highs once production is again started. As a sample of the gold ore , six cars containing approximately 20 tons of ore, previously mined from the 200 level, is currently stockpiled at the surface and indicates values of .26 oz per ton of Gold and 1 oz per ton of Silver remaining in the mine. Serious investors should place these shares on their BUY LIST and watch for a strong breakout.. The Black Hawk Alhambra District Consists of 13 Patented Claims and 82 unpatented claims covering Approximately Three Square Miles in the Black Hawk Alhambra District Located in Grant County, Approximately 15 miles Southwest of Silver City, New Mexico. ALBUQUERQUE, N.M., April 03, 2019 (GLOBE NEWSWIRE) -- Santa Fe Gold Corporation OTC (SFEG), a U.S. based mining company and owner of multiple mining claims, is pleased to announce that it has completed the acquisition of all of the capital stock of Bullard’s Peak Corporation (which owns thirteen (13) patented claims and Eighty two (82) unpatented claims in the Black Hawk district of New Mexico) from Black Hawk Consolidated Mines Company for a purchase price of $3,115,365. The Company granted the seller a 2% net smelter return in perpetuity. The net smelter return is the greater of (i) all monies the Company receives for or from any and all ore removed from the property comprising the mining claims whether for exploration, mining operations or any other reason, and (ii) the fair market value of removed ore from the property comprising the mining claims. The claims in the Black Hawk district of New Mexico consist of Alhambra, Black Hawk, Silver King, Good Hope and Bullard's Peak Mines. 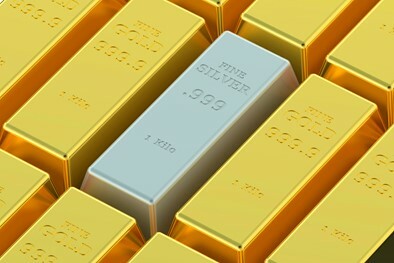 Santa Fe Gold intends to develop the Black Hawk Alhambra Silver Mines Complex and has commenced preliminary discussions with certain potential mining companies, institutional investors and joint venture partners having broad mining experience, expertise and access to finance as required to develop and commercialize each of these properties. We are very pleased to have completed this important, and what we believe to be a highly promising, acquisition for Santa Fe and I have personally invested $400,000 for the purchase of 5 million shares of Company common stock at a purchase price of $0.08 per share from November 30, 2018 to date. The Alhambra district has a history of operations dating back more than a century and we believe this acquisition to be of considerable value to Santa Fe. We are a mining company engaged in the business of acquisitions and intended development of mineral properties. For this purpose, any statements contained herein that are not statements of historical fact may be deemed to be forward-looking statements. Without limiting the generality of the foregoing, words such as “may,” “will,” “expect,” “believe,” “anticipate,” “intent,” “intends,” “could,” “should,” “estimate,” “might,” “plan,” “predict,” “strategy” or “continue” or the negative or other variations thereof or comparable terminology are intended to identify forward-looking statements. Our strategy is conditional upon raising sufficient capital to fund continued operations, the failure of which to obtain could adversely impact us. ALBUQUERQUE, N.M., March 27, 2019 (GLOBE NEWSWIRE) -- Santa Fe Gold Corporation OTC (SFEG), a U.S. based mining company and owner of multiple mining claims, is pleased to announce continuing progress towards production from the Jim Crow Mine located in the well-known Steeple Rock district of southwest New Mexico. Six cars containing approximately 20 tons of ore, previously mined from the 200 level, is currently stockpiled at the surface and indicates values of .26 oz per ton of Gold and 1 oz per ton of Silver remaining in the mine. Santa Fe Gold expects to begin mining and shipping ore during the coming quarter, increasing output towards anticipated full production levels. In addition, preparation for the startup of production at its higher grade Bilalli mine is also expected to get underway once stable production is achieved from the Jim Crow mine, with intent to also build production up to similar levels. We are very pleased to have made considerable progress towards commencement of production, so far under budget and on schedule and expect to be revenuing in the coming quarter, as we build up production output into the summer and complete Santa Fe Gold's 2018 - 2019 Fiscal year. Santa Fe Gold is well positioned to become a profitable operating Mining company. Initial production from the Jim Crow Mine promises to generate sufficient revenue to finance development of its other mines in the Steeple Rock district, the adjacent Imperial and the Bilalli. Another important asset and benefit is that Santa Fe’s operating team has many years of experience in this district. Low startup costs, simplicity of operations and experienced on site management bode well for this venture. All three properties have potential to generate additional ore laterally on the strike of the veins in the existing mines, at depth below the existing workings and within parallel and as yet undeveloped veins. In addition to its three mines in the Steeple Rock district, Santa Fe is in the process of completing acquisition of five patented claims and 82 un-patented claims in the Black Hawk district located in Grant County, approximately 15 miles southwest of Silver City, New Mexico. This district, with a history of operations dating back more than a century is of an important geologic type known for extremely high grades of silver with associated and important nickel and cobalt values. This large property contains four mines with historic production and published US Geologic Survey reports identify up to 30 additional veins within this property that contain visible silver at the surface. Potential of this property is very high, other districts of this geologic type elsewhere in the world, include the famous Cobalt, Ontario district, operated in the early twentieth century, which produced over five hundred million ounces of silver. The potential of revenue from its Steeple Rock district gold mines and the very high exploration potential of its Black Hawk district properties bode well for the future of this company. Last week Santa Fe Gold filed an amended quarterly report for September 2016 which includes all material events relating to the company's progress to date and expects to continue to file additional quarterly and annual reports at a steady pace over coming weeks until the company is up to date and compliant. We require capital for future development of our current mining properties, fund working capital needs, and fund contemplated acquisitions. There can be no assurance that the required capital can be raised. Failure to obtain the necessary capital to complete the purchase and future development of our current mining properties could materially impact our operations.